Options add up quickly--keep it simple to get the best value. The diesel X5 seems attractive for fuel economy reasons, but the added cost means it won't be a strong break-even proposition for years. It doesn't pop with the styling or interior plushness of its competitors, but the 2012 BMW X5 has the powerful X5 M and frugal diesel up its sleeve. A frontrunner in the luxury SUV segment, the 2012 BMW X5 continues to prove its value, moving forward for the new model year with minimal updates. 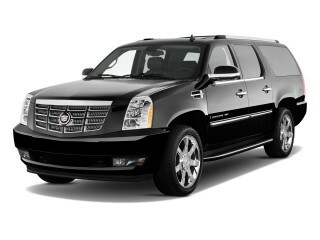 Given its handsome styling, ample space for five passengers, and luxurious interior, that's a good thing. Styled with BMW's brand aesthetics up front, but with a more masculine appeal than most of the range, the X5's chunky proportions meet with flowing lines to deliver a conservatively handsome look. Inside, the story is much the same, with a restrained style that will appeal to a wide range of buyers. A number of color and materials options allow customization for specific tastes. While the X5 might largely fly under the styling radar, it shines in performance. Under the hood of the base model lies a twin-turbocharged inline six-cylinder rated at 300 horsepower and 23 mpg highway. This base engine, dubbed xDrive35i in BMW terms, is available in three trim packages: base, Premium, and Sport Activity. More on those later. A turbocharged diesel is available in the X5 xDrive35d model, good for 265 horsepower and 26 mpg highway, though it commands a slight premium in price over the standard gasoline model. 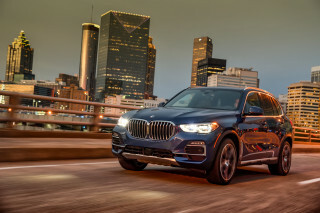 The most potent standard X5 is the xDrive50i, powered by a twin-turbo 4.4-liter V-8 engine rated at 400 horsepower and 20 mpg highway but delivering thrilling acceleration, particularly for an SUV. A very highly tuned version of the same engine is available in the X5 M, rated at 555 horsepower and upgraded with a shockingly good suspension setup. The X5 rides and handles more like a big sedan, even though it's considerably taller and bulkier. The X5 M is an oddity, but one we love: a track-ready sport-utility vehicle that makes no sense on paper and a lot of sense on a speedway. On most models, ride quality is better than expected. The X5 is comfortable for up to five adults, though a tiny third-row seat with two more spaces for kids is available Cargo space is adequate, if not excessive. The IIHS gives the X5 good crash-test ratings, but the NHTSA hasn't fully vetted it yet. All models come with all-wheel drive. Among other features, BMW offers navigation, an iDrive infotainment interface, power front seats, keyless ignition, parking sensors, a rearview camera, and a USB port. 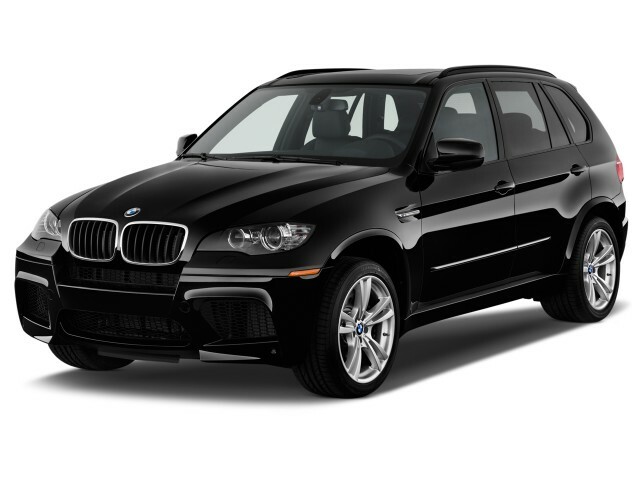 The 2012 BMW X5 isn't a compelling design, but its conservatively tasteful looks will appeal to many. Conservative, bland, masculine, handsome, aggressive. 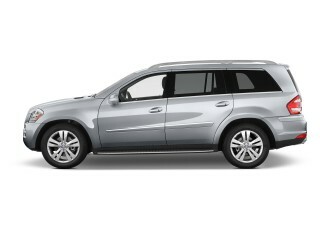 The 2012 BMW X5 is all of these things--it just depends who's doing the looking. Tall, with chunky proportions but smooth lines, the X5 marries BMW's brand identity with the boxy necessities of the SUV genre. Not everyone will like, but it does a good job of slipping in around the median, never going to extremes, except, of course, in the case of the lairy X5 M.
Inside, a modern and tasteful cabin in the X5 wears lovely color schemes, and high-quality materials. Its design focuses on functional interfaces and clean looks. The four distinct X5 models don't have much in the way of visual differences. To get a sharply different appearance, there's the X5 M, which adds low-profile tires, deeper air dams and side sills, and interior trim and badges with a racy tilt. The 2012 BMW X5's handling and performance is impressive, but the X5 M sets a benchmark. On paved roads, the 2012 BMW X5 excels. 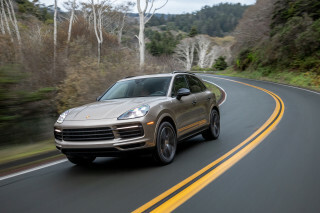 The engines might bring some funky names to the mix, but they deliver the goods in terms of power, smoothness, and, in some cases at least, fuel efficiency. The xDrive35i model is a turbocharged inline six-cylinder engine with 300 hp and 300 lb-ft of torque. The turbocharger helps the torque arrive early, provided very good acceleration and passing power despite the X5's size. A diesel model, the xDrive35d, provides similar performance with 265 horsepower but a prodigious 425 pound-feet of torque delivered at very low rpms. Stepping up to the V-8 models, there's the xDrive50i, good for 400 hp and 400 lb-ft of torque, which effectively turns the X5 into a very tall performance sedan with a surprising amount of cargo space. All standard X5s have an 8-speed automatic that delivers smooth shifts and an engaging manual mode. When equipped with the optional adaptive shocks, the X5 allows adjustment into even sportier guises while retaining a safety net of traction and stability control. The X5 M changes things up significantly. It adopts a 555-hp version of the turbo V-8; with its 486 lb-ft of torque, it drops sports car-like acceleration.The X5 M's wheels, tires, and suspension are tuned for incredible feats that really require track time to explore. Even the brakes are impressive. BMW adds an M Dynamic Mode that lets the stability control take some time off while you play around with the slip angles. The X5 isn't quite as impressive off road. Its low-profile tires compromise grip and rugged-terrain capability, but it's not just a soft-roader. The X5 can handle mud, snow, gravel, inclines, and even water crossings when driven properly. The third row is cramped, but the rest of the 2012 X5's interior is comfortable, well-built, and quiet. BMW is well-known for building premium luxury vehicles, and the X5 is no exception. Ride comfort, materials, and seatings space are all part of the X5's design. It might lack some of the ultimate plushness of a few competitors, but few will complain about the X5's on-road ride. The seats are comfortable (except for the third row, which is predictably cramped), headroom is good, and the suspension's dynamic abilities don't go too far in compromising comfort. 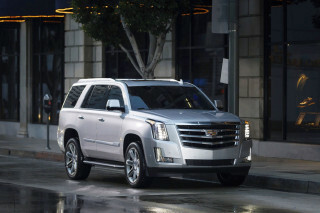 Wind, tire, and road noise are minimal, with none of the booming that can haunt some SUVs. Close panel gaps and high build quality mean there are no squeaks or rattles, either. 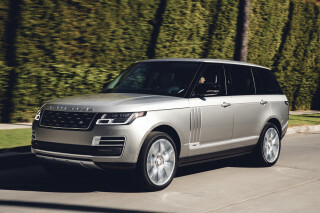 Cargo space, as you'd expect, is good, with the large rear area accepting large packages and the cabin's door-mounted bins, deep center console, and seat-back pockets providing ample passenger compartment storage space. Strong safety scores and abundant standard safety equipment put 2012 X5 buyers on solid ground. The National Highway Traffic Safety Administration (NHTSA) hasn't crash-tested the 2012 BMW X5, but the Insurance Institute for Highway Safety (IIHS) has, awarding it top marks of "good" in frontal offset, rear, and side-impact tests. 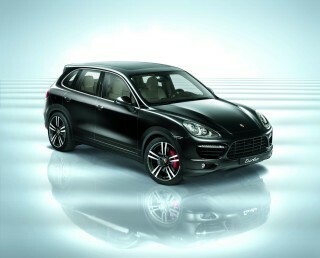 In addition to the solid safety marks, the 2012 X5 comes with a range of standard safety equipment. Dual front and side airbags; pre-tensioning seatbelts; front and rear head-protecting airbags; adaptive brake lights; active head rests; hill descent control; trailer stabilization; rollover protection system; and a central locking system are standard on every X5. The X5's large side mirrors and automatic rear-view camera also help aid visibility. A long list of standard equipment can be enhanced by an equally long list of options, but beware the rising price as you pile on the extras. Like most BMWs, the X5 offers a long list of standard features and equipment, and an even longer list of available upgrades and customizations. Beware when piling on the extras, however, as the price tag can inflate quickly. Once lambasted for its complexity and difficulty of use, the iDrive system is now as refined and straightforward as any fully-featured high-tech infotainment system. That's not to say it's simple, but it's no longer needlessly complex. Standard features on the X5 include a 10-way power-adjustable driver's seat with memory; reconfigurable/folding seats for cargo and passenger arrangements; dynamic cruise control; and speed-sensitive power steering. Some of the optional upgrades available with the 2012 X5 include nappa leather; several choices of wood and metal trim; a wide range of upholstery colors; and high-tech add-ons like heads-up display, active steering, and more. The 2012 BMW X5 is one of the greenest choices in its class, especially in diesel form. No SUV thus far has garnered truly respectable gas mileage, and that's largely a matter of physics: heavy vehicles that must accelerate with normal traffic simply require more fuel. BMW has mitigated that thirst somewhat, however, particularly in the six-cylinder models. The X5 xDrive35i, for example, rates 16 mpg in town and 23 mpg on the highway for 19 mpg combined. 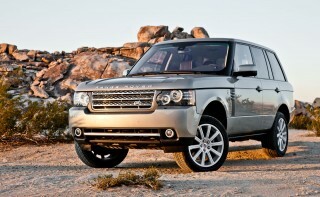 That's not fantastic, but it beats many full-size trucks while seating five in luxury. The xDrive35d diesel model is the gas mileage hero of the range, however, scoring 19 mpg city and 26 mpg highway for 22 mpg combined. That's competitive with many midsize non-luxury sedans, and very good for an SUV of the X5's girth. As you'd expect, the V-8-powered xDrive50i model doesn't do as well, rating 14 mpg city and 20 mpg highway for 16 mpg combined. The X5 M is even less green, not that anyone buying a $90,000-plus super-sports SUV will likely worry about a few extra dollars at the pump; it rates 12 mpg in town and 17 mpg on the highway for 14 mpg combined. I've been complimented on this vehicles appearance more than any of the over twenty cars I've owned through the years. Fantastic car V16 engine with single turbo star alloy wheels leather interior the body colour is carbon fibre with twin exhausts.